Local 251 members voted to approve their new five-year Teamster contract at Rhode Island Hospital with an overwhelming Yes vote of 97.5%. 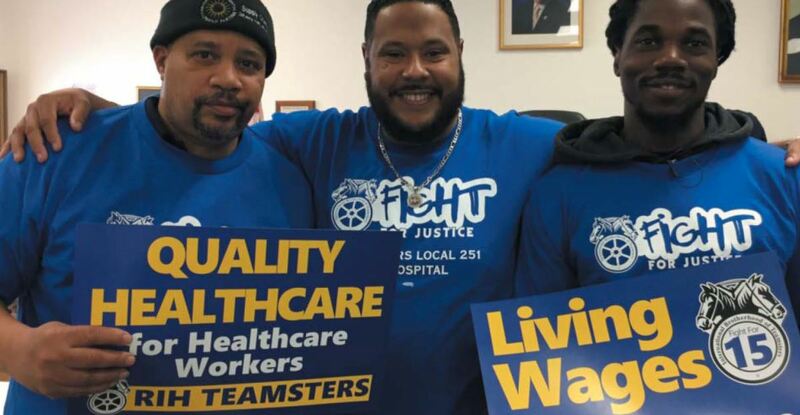 Congratulations to members for sticking together and winning three percent annual wage increases, a $15 minimum wage for every Teamster by the end of the contract, Teamster healthcare for every benefit-eligible employee, and other improvements. Read a Two-Page Summary of Key Contract Changes. Read every change in the contract. (12 pages).